This modern magnetic key rack saves space and makes it easy for you to find your keys. It is designed to be mounted on your light switch panel. You can install it easily by following the supplied instructions. You do not need to drill holes in your light switch in order to install it. To install you simply remove existing light panel screws and replace with the key holder. This is a great idea if you don't have a lot of room to spare. It eliminates the need for bulky key racks or bowls that take up valuable space. The magnets used are extremely strong and can hold a range of items. 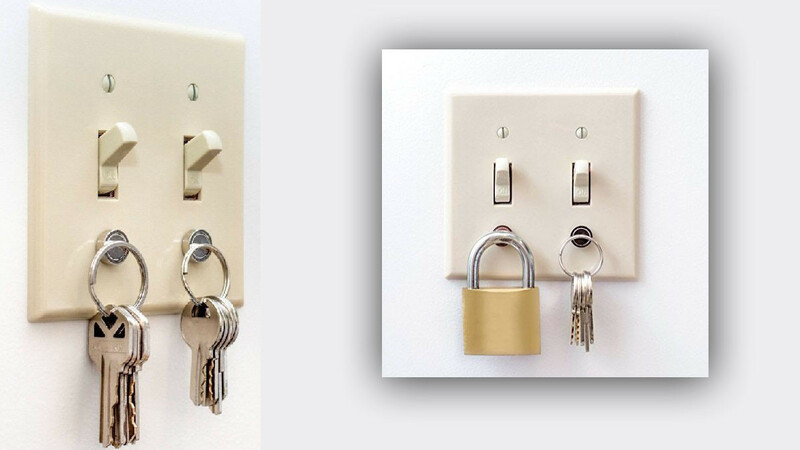 A great place to store keys, locks or a dog leash.